What I find truly fascinating in Super Bowl 46 is the matchup of the Giants 3 wide receiver personnel versus the Patriots pass defense. 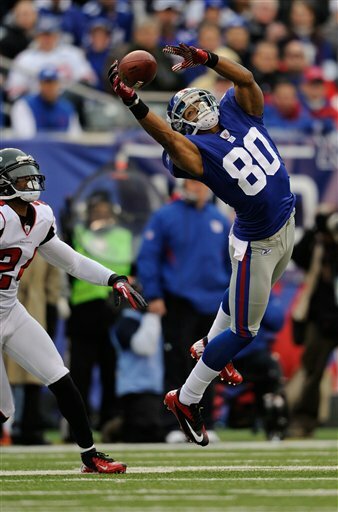 As we know, Victor Cruz almost always aligns in the slot when the Giants go 3 wide. Cruz was the most productive slot receiver in the NFL in 2011. I charted every one of his catches in the regular season and the 3 post-season wins, and the numbers were truly revealing. 75% of his receptions, and 77% of his yards came from the slot. There is no question that’s a strong tendency. Recall what Cruz did to San Francisco’s Carlos Rogers in the NFC Championship game. Rogers was the slot corner in the 49ers nickel sub-package. He had an excellent year in that role, a Pro Bowl year. In the first half, with Rogers predominantly matched man-to-man, Cruz had 8 catches for 125 yards. The paramount point is Cruz is a very difficult assignment in the slot. As I turn my attention to the Super Bowl, I’m struggling to get a handle on the Patriots matchup approach. All season, Bill Belichick has mixed and matched in his secondary, using an unforeseen combination of undrafted and street free agents, and wide receivers like Matt Slater and Julian Edelman. When the Patriots and Giants played back in early November, the nickel corner was Philip Adams, who three weeks later, was released. Over the last month, New England’s defensive backfield has primarily been configured this way versus 3 wide receiver personnel: Sterling Moore and Kyle Arrington on the outside, Devin McCourty and Patrick Chung at safety, and Edelman in the slot. Edelman matched on Cruz? That matchup would require Belichick to do a lot of creative double team and bracket coverage concepts on Cruz. That could potentially compromise other elements of the coverage, and the pass rush, since more bodies would be needed in the back end. Keep in mind that Hakeem Nicks did not play in the first matchup. He’s a tough cover on the outside. And the Giants at times feature “3 x 1” sets with Nicks the single receiver to one side and 3 other receivers to the opposite side, one of those being Cruz in the slot. It is possible to take away 2 receivers on any given snap. Belichick will have a great feel for the Giants route combinations based on receiver distribution and location: that is, how many receivers align to each side, and who those receivers are. That’s how coverages, especially zone concepts, are often designed and executed. 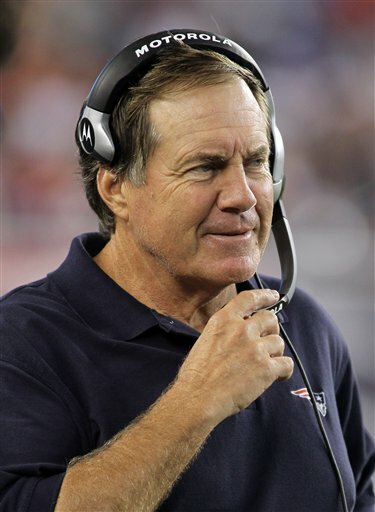 Belichick understands he is limited from a personnel standpoint in the secondary. He must camouflage, and compensate for that liability. If Edelman is the slot corner in Super Bowl 46, and I’m not convinced he will be, you can be sure you will not see many snaps of man coverage. That’s a risky proposition. In trying to get a handle on the Cruz matchup, I keep coming back to a concept Belichick has used effectively in the past. I call it the “bullseye” approach. Belichick targets a single player whom he feels is most critical to the success of the opposing offense, and he focuses his game plan on that specific player. The most celebrated illustration was Super Bowl 36, when Belichick zeroed in on Marshall Faulk and minimized his affect on the game. I would not be surprised to see Belichick at times put the “bullseye” on Cruz in the 3 wide receiver personnel grouping. I have seen him align linebacker Rob Ninkovich over slot receivers to physically prevent them from getting off the line of scrimmage cleanly. That disrupts, even for a heartbeat, the timing of the passing game. The corollary point, and an important one: Ninkovich would then rush the quarterback. Because of his initial alignment over the slot, the offensive pass protection did not account for him. Another factor compels the “bullseye” concept versus Cruz and the Giants. By limiting the speed and efficiency with which Cruz can release off the line, it severely lessens his ability to be an immediate vertical threat. He cannot race into the secondary and force safeties to have to react quickly. The practical result is Cruz can then be played solely by the slot corner, without deep safety help over the top. Another body does not need to be allocated to defend him. That gives New England more coverage versatility with which to defend Nicks and Mario Manningham. 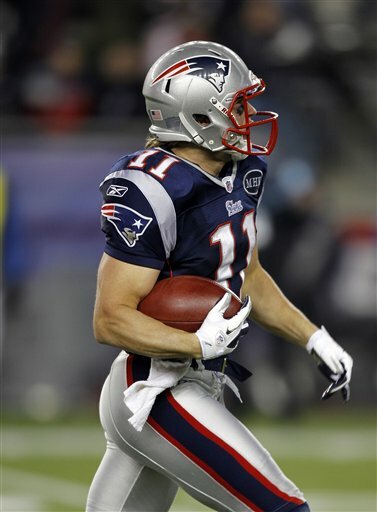 Cruz is one of the biggest wild cards in Super Bowl 46. I can’t wait to see how Belichick tactically defends him. I believe that could well determine who raises the Vince Lombardi trophy. Who does Greg think will win Super Bowl 46? Find out later this week here at TCIPF.